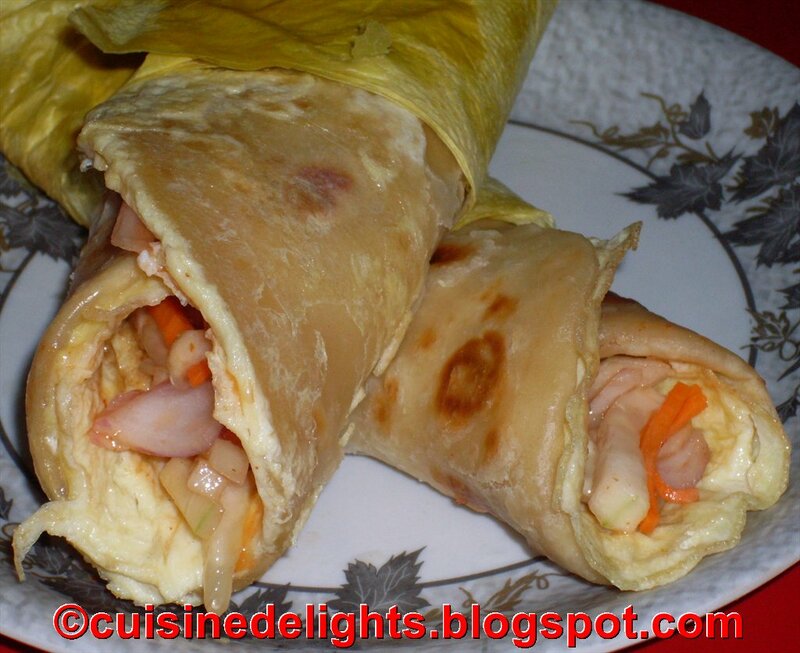 Egg Roll is a very popular and delicious appetizer. The traditional Egg Roll has a filling made from minced vegetables inside a flour and egg-based wrapper. Although you can use any vegetables in egg rolls, the classic ingredients are carrots, cucumber, onions and green chilli. Fry before serving. Place the egg covered paratha on a flat surface with the egg side up. Roll the paratha and cover half of it with an kitchen paper and tuck the paper well so that the roll doesn’t open up. Serve hot as a snacks. Sending this recipe to Priya's "Fast Food Not Fat Food"